Quiznos Combo for $2.99 with Coupon! 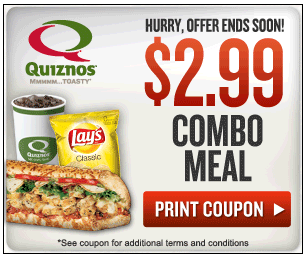 Print a coupon for a Quiznos Combo Meal for $2.99! You get any small sub, a regular fountain drink, and chips!